With as much stress and anxiety as Americans suffer from today, it’s quite common to hear people talk about the relationship between stress levels and heart health. And while there’s definitely a connection, it’s often misunderstood. Stress is a natural part of what it means to be human. It’s known as the “fight or flight” response and is what keeps you safe in precarious or life-threatening situations. When you find yourself in a stressful scenario, your body releases hormones into the bloodstream – including cortisol and adrenaline. These hormones help you react to the situation you’re facing. One of the effects is increased blood pressure and heart rate. Once the danger or threat passes, the body relaxes and hormone levels return to normal. The big problem occurs when your body’s stress system fails to relax fully. When prolonged over days, weeks, months, or years, chronic stress can lead to serious heart issues. “There is no solid evidence that stress can directly cause a heart attack. 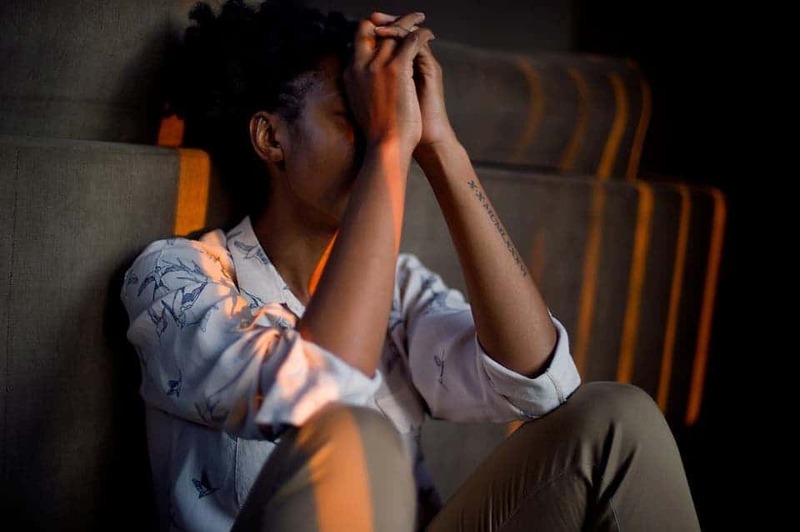 However, chronic stress — the kind of stress that’s due to ongoing situations like a bad relationship or difficult job — can lead to risk factors that affect heart health,” explains Dr. Rami Doukky of Rush University Medical Center. In addition to putting a direct strain on the heart, stress can lead to overeating, unhealthy eating, poor sleep habits, and excessive alcohol and tobacco usage – all of which can increase the risk of high blood pressure, cardiovascular disease, and even diabetes. If you want to treat your heart right and reduce your risk of cardiovascular-related illnesses and issues, you need to get your stress level under control. Acute stress in isolated situations is totally normal. But if you find yourself stressed for hours or weeks on end, something has to change. Regular exercise is of the single most important things you can do to combat stress. Ironically, it works by putting physical stress on your body and strengthening your muscles – including those of the heart. While it heightens them in the moment, exercise works by lowering your body’s stress hormones over the long haul. It also releases pain-killing endorphins, which elevate your mood and help you feel good. Finally, it helps you sleep. This gives your body the energy it needs to be healthy. A lot of people tend to keep to themselves when they’re stressed, but there’s a growing body of research that suggests spending time with friends and loved ones helps relieve stress and anxiety. One study has discovered that women, in particular, experience a release of oxytocin, a natural stress reliever, when they spend time with friends and children. A separate study indicates that men and women with fewer social connections are more likely to suffer from anxiety and depression. There’s a lot of practical value in learning how to control your breathing. The key is to breathe in through your nose and hold the air for several seconds. Then purse your lips and slowly let the air out. The fact that our lives are busier than ever is one of the leading causes of the increase of stress and anxiety in our culture. If you want to experience less stress, the best thing you can do is simplify your schedule. Take a look at your schedule and try to strip away things that don’t matter. Whether it’s running the PTA for your child’s school, attending a weekly book club that you never have time for, or signing up for every recreational sports league they offer at the YMCA, stop feeling as if you have to do everything. Simplify and learn to embrace the quiet moments. With as much as we understand about the relationship between stress and heart health, there’s no reason to continue living your life burdened by chronic stress. It’s time to do yourself a favor and learn to cope with it in a healthy manner that benefits your body, rather than burdens it.